This antibiotic treats or prevents only bacterial infections. It will not work for viral infections (such as common cold, flu). Unnecessary use or misuse of any antibiotic can lead to its decreased effectiveness. Take this medication by mouth as directed by your doctor, usually before a meal. This medication is best absorbed when taken on an empty stomach. If nausea occurs, you may take it with food or milk. This medication has a bitter taste if crushed. Swallow the medication whole. Do not chew or crush. Tell your doctor right away if you have any serious side effects, including: signs of liver disease (such as persistent nausea/vomiting, yellowing eyes or skin, dark urine, severe stomach/abdominal pain), unusual tiredness, muscle weakness, slurred speech, blurred vision, drooping eyelids, hearing loss. List Erythromycin side effects by likelihood and severity. Before using this medication, tell your doctor or pharmacist your medical history, especially of: kidney disease, liver disease, a certain type of muscle disease (myasthenia gravis). The risk of QT prolongation may be increased if you have certain medical conditions or are taking other drugs that may cause QT prolongation. 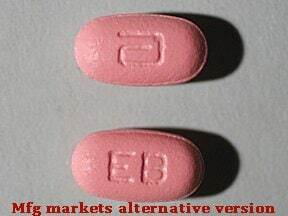 Before using erythromycin, tell your doctor or pharmacist of all the drugs you take and if you have any of the following conditions: certain heart problems (heart failure, slow heartbeat, QT prolongation in the EKG), family history of certain heart problems (QT prolongation in the EKG, sudden cardiac death). What should I know regarding pregnancy, nursing and administering Erythromycin to children or the elderly? Some products that may interact with this drug include: clindamycin, digoxin. Other medications can affect the removal of erythromycin from your body, which may affect how erythromycin works. Examples include azole antifungals (such as itraconazole, ketoconazole), certain calcium channel blockers (such as diltiazem, verapamil), certain anti-seizure medications (such as carbamazepine, phenytoin), quinupristin-dalfopristin, among others. Does Erythromycin interact with other medications? Should I avoid certain foods while taking Erythromycin? 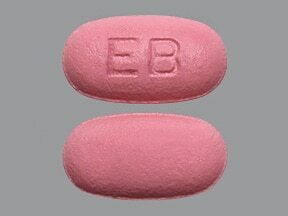 This medicine is a pink, oval, film-coated, tablet imprinted with "EB". 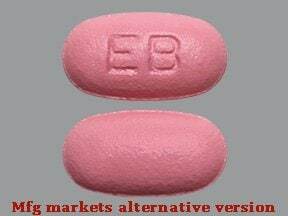 This medicine is a pink, oblong, tablet imprinted with "logo" and "EB". 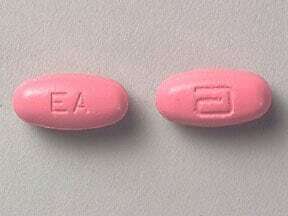 This medicine is a pink, oval, film-coated, tablet imprinted with "EA". 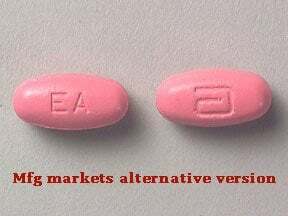 This medicine is a pink, oblong, film-coated, tablet imprinted with "EA" and "logo". 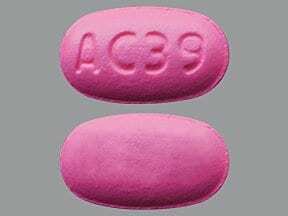 This medicine is a pink, oval, film-coated, tablet imprinted with "AC39". 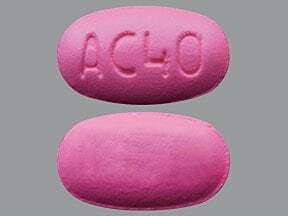 This medicine is a pink, oval, film-coated, tablet imprinted with "AC40". Are you considering switching to Erythromycin? How long have you been taking Erythromycin?